Farmgirl Fare: Wednesday Dose of Cute: Next. 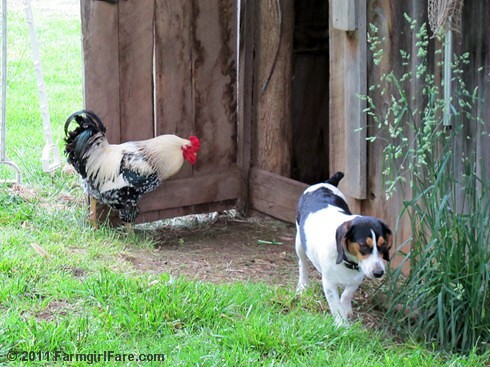 . .
© FarmgirlFare.com, where we cluckle and chuckle our way through the day, and I'm really behind replying to comments and e-mail. Thanks for your patience. That rooster is gorgeous how about a portrait some day. As far as the comments, being behind is understandable no matter the reasons. I love my 'Daily Dose' and thanks for that. Your blog is delightful. I love your rooster! I am an artist who paints farm animals. I am always on the lookout for inspirational photographs and wondered if you would be willing to share some of your images? OMG - that is hysterical! I hope he put the seat down! I enjoy your blog and your pictures!!! Keep me smiling! !